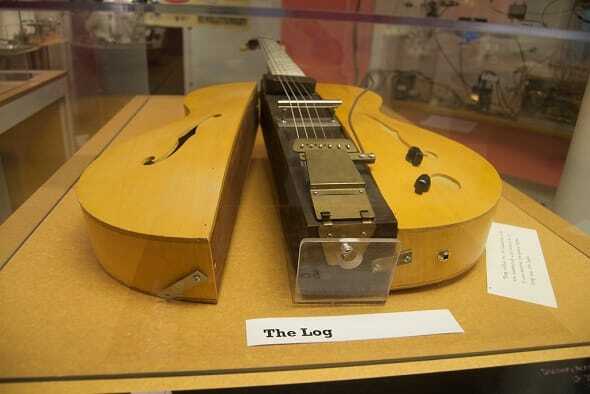 The Korina McCarty’s body is carved from sold slab of Korina wood, as is the 22-fret thick-wide neck. For those who have not played the liked PRS carved neck, it’s a beefy C shape that’s positioned into the 25-scale body. The chrome-covered McCarty humbuckers are similar to the highly commended humbuckers in the standard McCartys, and a Duncan-wound soap-bar is offered as an option for those who want something a little more unique. Vintage style tuners and a fixed aluminum bridge add a touch of sparkle to the Korina McCarty’s highs. 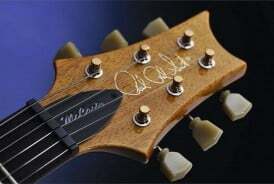 Like the PRS Mira, the PRS Korina McCarty confirms that a guitar doesn’t need a maple top to sound excellent. The Korina produces all of mahogany’s warmth with more definition in the bass and a more dynamic response. The well-defined midrange harmonics are also dazzling—2nd-,3rd- and 4th-fret harmonics pop clearly from this McCarty, even with a clean amp setting. When needed, treble response can be sharp but not piercing. It’s a sound enthusiast call “refined” because the pronounced highs and loose lows are balanced to create a bolstering prominent midrange. The PRS McCarty’s highly developed and defined tone just sings, but through an amp that has plentiful gain, it could be likened to Santana’s heavier sounds or when you turn up the gain or turn the treble down and comp out some cool jazz lines. Korina McCarty does every style well, rock, jazz, country, etc… a sound to remember. 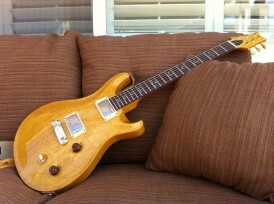 Listen to this guitar in action at ArtisanGuitars.com by clicking – Sound bites: PRS Korina McCarty Guitar. 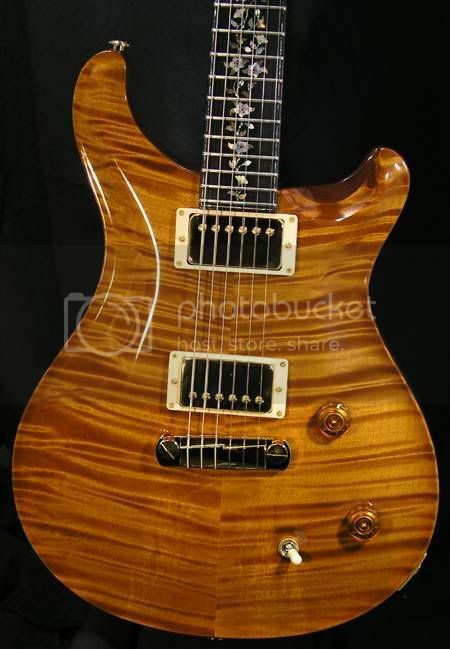 Visit prsguitars.com to see more of PRS guitars. Just listened to the demo of the PRS McCarty playing licks with Pink Floyd and I would have to say it is a sweet sounding guitar. I wish I had one. I love PRS guitars and have wanted one for a very long time but that will have to wait. 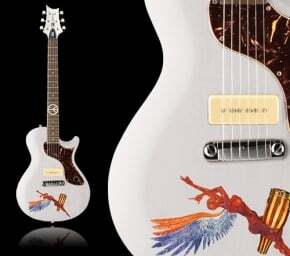 But until then I will just have to keep wanting one and playing my Stratocaster.